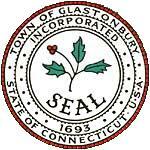 The primary mission of the Town’s Human Services Department is to promote independence, personal enrichment and an enhanced quality of life for Glastonbury residents of all ages through a variety of programs and services. The Glastonbury Senior Center, a division of the Human Services Department, serves Glastonbury residents age 50 and above. Together with the town’s Commission on Aging, it is responsible for coordinating of all town activities related to seniors, a charge that includes continuously studying the conditions and needs of senior in areas such as housing, economics, health, employment, transportation, recreation, home care services, and other matters concerning the life quality of the elderly. • A Dial-A-Ride transportation program for seniors, providing more than 20,000 rides each year throughout town for medical appointments, grocery shopping and social activities. • A town Housing Authority that operates affordable housing for seniors, families and disabled individuals in various settings throughout town. • Programs for the vision impaired, the memory impaired, grief programming; balance programs, and programs for caregivers. In 2007, the Senior Center applied for and won accreditation by the National Institute of Senior Centers, which rates centers on nine areas of excellence for operation of a senior center. Earning and maintaining our accreditation since has provided a structure continuing to excel in those areas of excellence, The AARP/WHO Age Friendly Community Initiative’s Eight Domains of Livability map perfectly with the areas we and our Commission on Aging are tasked with continuously studying and improving. Participating in the Age Friendly Initiative would give us access to tools to better engage seniors with the broader community in ensuring that community initiatives not directly related to Senior Center programs and services reflect the seniors’ perspective. This will become increasingly important as the baby-boom population ages and puts pressure on towns to accommodate seniors’ needs and their desire to age in place and engage in the community life. By participating in the initiative, we hope to take advantage of the Toolkits, Roadmaps and other resources provided to create a structure that will facilitate continuous improvement of the services we provide to seniors in town.